Lok Sabha elections 2019: Chief Election Commissioner Sunil Arora said "not a single case of (EVM) tampering had been established so far"
Chief Election Commissioner Sunil Arora on Tuesday said "most parties" have reposed their faith in electronic voting machines (EVMs), but expressed regret that some sections made it part of a "motivated slugfest". He said there was a difference between tampering and malfunctioning (of EVMs) and asserted that "not a single case of tampering had been established so far". The CEC also said a thorough exercise will be launched to create awareness of voter-verifiable paper trail (VVPAT) slips. "Most parties reposed their faith in voting through the EVM, though some asked for counting of more VVPAT slips. Some wanted more hands-on demonstrations of the machines to familiarise voters on how to use these machines for voting to instil more confidence," Mr Arora said. 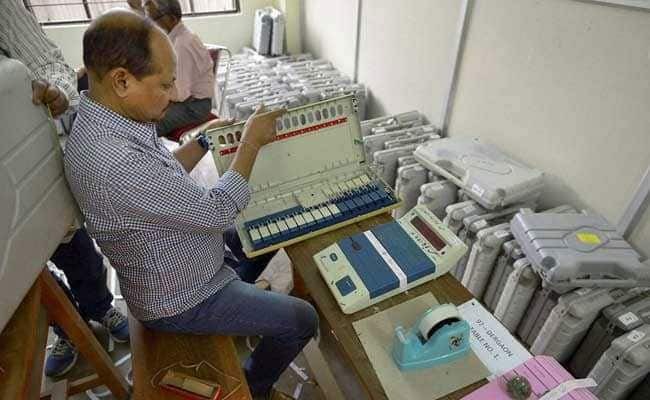 The former Indian Administrative Service (IAS) officer said EVMs have been used for a while now and there should be no scope for controversy on its use. "Subsequently (after 2014), elections were held in Delhi, Gujarat, Maharashtra, Bihar, Madhya Pradesh, Tripura, Mizoram. There have been different results ever since. But why are EVMs made part of a motivated slugfest?" Mr Arora said. The chief election commissioner said a group of experts from Indian Statistical Organisation and the National Sample Survey Organisation will give their report soon on the possibility of counting VVPATs. Mr Arora, who along with Election Commissioner Ashok Lavasa and other top officials of the Election Commission, reviewed the preparedness for the elections in Andhra Pradesh, briefed reporters about their two-day deliberations with the state officials and political parties. Mr Arora called the purported "hacking" of EVMs recently a "circus in London", and said the British Union of Journalists and the Indian Union of Journalists, which were supposed to have organised the event, had dissociated themselves with it. "An FIR has already been filed against the person who claimed to be a former employee of ECIL but, in fact, was not. So far not even one case of EVM tampering could be proved even in courts," Mr Arora said. A committee of top experts, including directors of Indian Institutes of Technology, was overseeing the functioning of EVMs. Observing that the coming elections to the Lok Sabha and the Andhra Pradesh assembly were "doubly challenging and a formidable task", Mr Arora said the ECI was committed to conducting free, fair, peaceful, transparent, ethical and inclusive elections. "The Commission attaches prime importance to ensuring a conducive environment for peaceful elections in the state. We will have zero tolerance for any instances of gross impropriety and negligence (on part of officials)," he added.